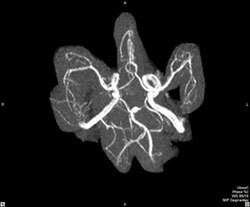 Magnetic Resonance Angiography (MRA) is a non-invasive procedure that produces images of arteries and veins. An MRA checks for stenosis (clogging of the vessel), aneurysm (ballooning of the vessel), and other vascular problems. 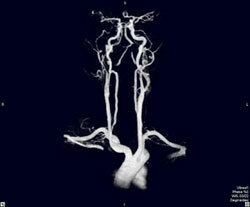 The procedure is a special technique of MRI which produces images exclusively of vessels. This isolation is helpful in detecting vascular abnormalities.